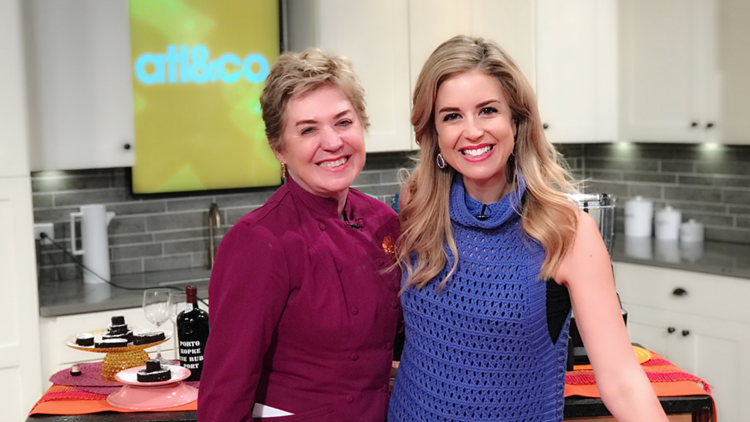 Taste and Savor's Chef Nancy Waldeck shares surprising food swaps. 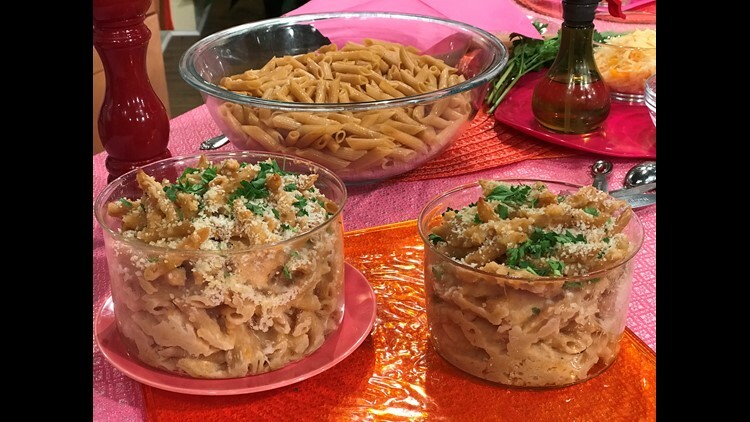 Here’s a way to have your Mac and Cheese, and feel good about it, too! Pureed cannellini beans and non-fat Greek yogurt take the place of cream and milk in this easy and delicious version of a family favorite. 2 Cups Grated Sharp Cheddar. Step One Puree the beans and the yogurt together in a food processor. Add in the cheddar and Parmesan. Step Two Pour into a casserole dish and stir in the cooked pasta. Sprinkle the panko over the top of the casserole and spray with the olive oil. Step Three Bake uncovered for 30 minutes, until bubbly and browned at the edges. Serve immediately. **Cannellini Beans are also called White Kidney Beans and are available at most grocery stores. No one will know this cake is made with quinoa, a grain packed with protein. It's also gluten free and because the cake is so moist, it freezes great! Not only is this recipe better for you but because of the quinoa, it also includes unsweetened cocoa powder and dark chocolate. If you want to get the health benefits from chocolate, always look for at least 70% cocoa solids and chocolate that is NOT Dutch-processed or processed with Alkali, which removes some of chocolate’s powerful antioxidants. Step One Preheat the oven to 350°F and line the bottom of a 9x13” pan with parchment paper. Step Two In a blender, combine the eggs, whites, milk and vanilla and blend to combine. Add the quinoa, oil and butter then blend until smooth. Step Three Sift together the dry ingredients in a large bowl. Add the wet ingredients in the blender to the bowl and whisk together until just combined. Scrape the batter into the prepared pan and bake for 30 minutes. Remove the cake from the oven and allow to cool completely before frosting. Ruby Port is the youngest, freshest and least expensive of all ports. Best of all - it's the perfect partner for CHOCOLATE! Candy cherry flavors dominate, ending with a touch of vanilla. 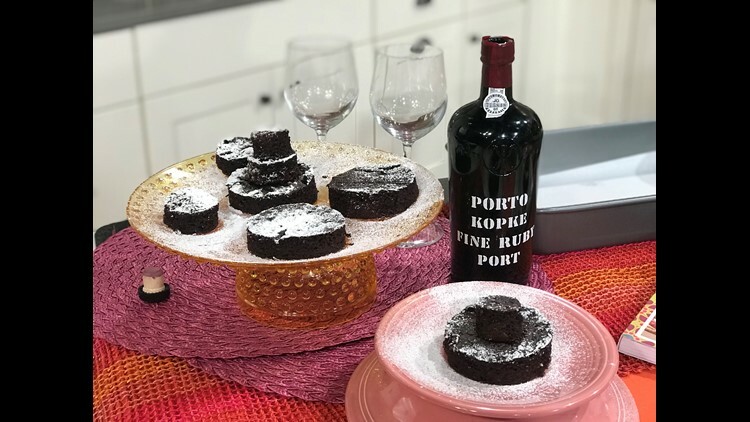 Even if you don’t think you like sweet wine, you have to try this super wine pairing!